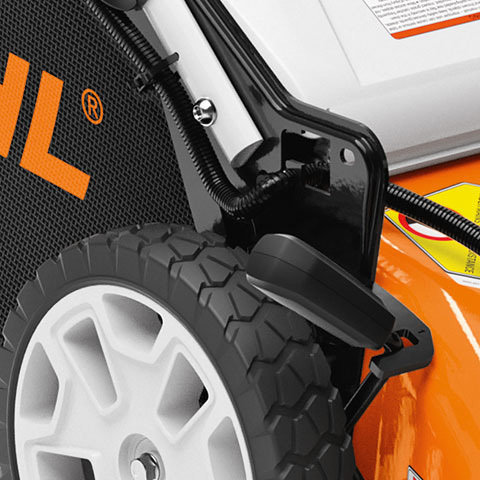 STIHL’s RMA 510 lithium-ion battery lawn mower is great for working on large lawns. 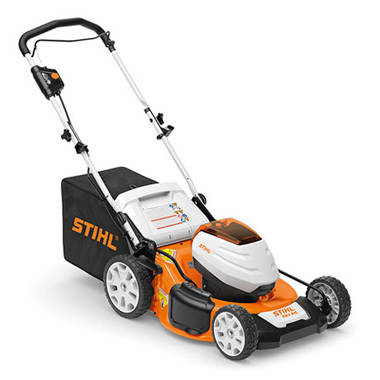 This unit features a 7-level cut height adjustment, 21" (53 cm) cut width and convenient side ejection when mowing and mulching. The unit holds two AP batteries, one while in use and one for storage. Foldable handlebar for space saving storage and easier transportation. Easy to adjust to 7 different working positions.